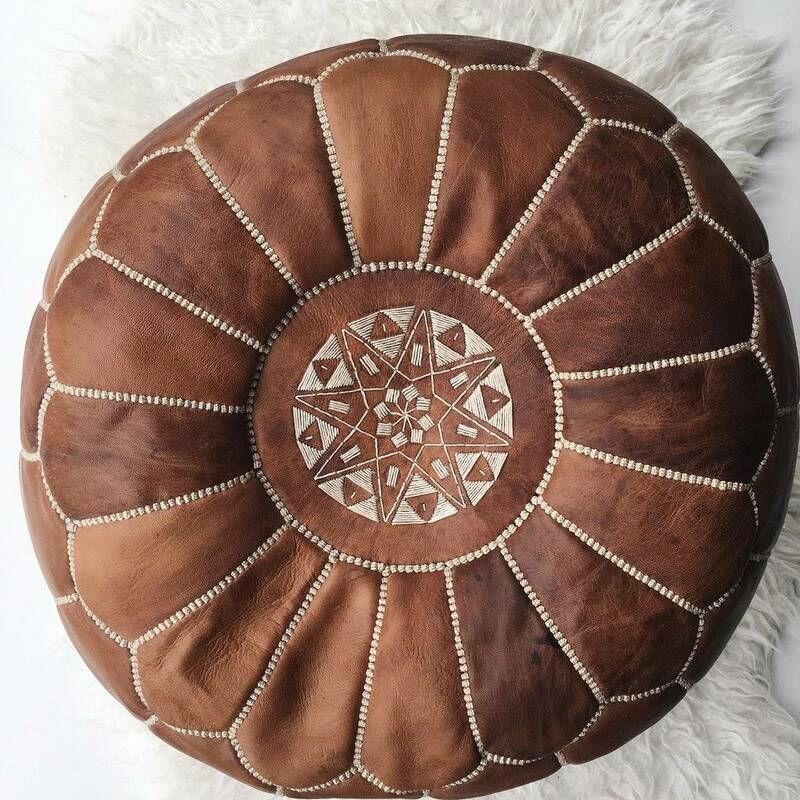 Are you looking for a stylish pouf of 100% durable leather? 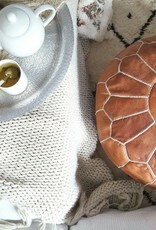 Then go for this Moroccan pouf! 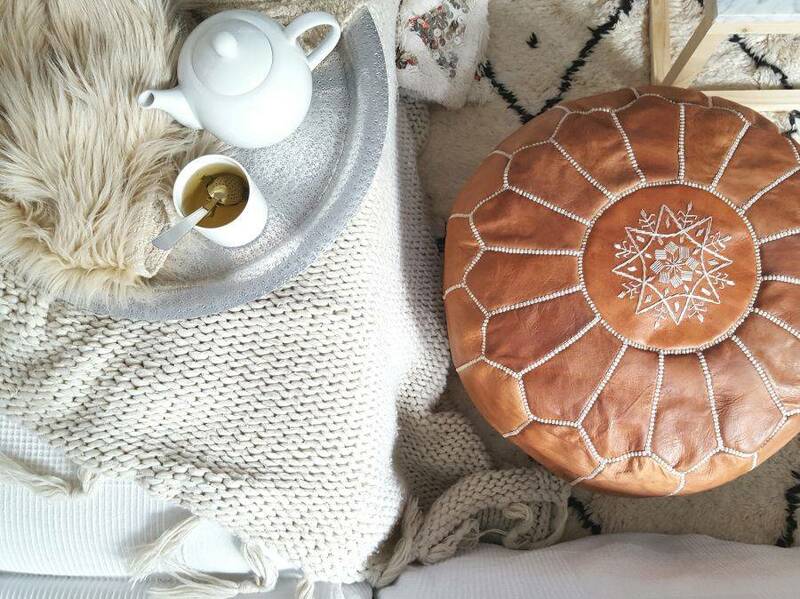 The round pouf is handmade from durable leather and is machined with beautiful subtle Moroccan embroideries on the top. 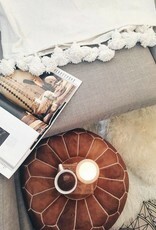 The pouf can also be used as a footstool or simply as a decoration in your home. from Morocco. 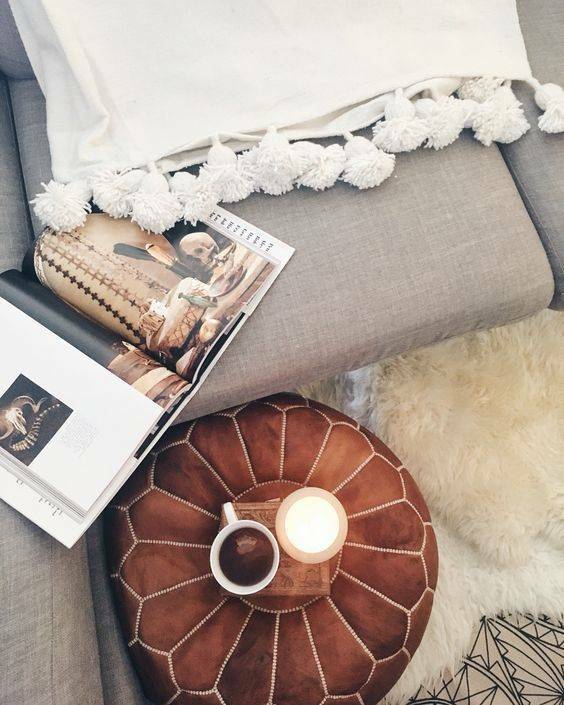 This makes each product unique! 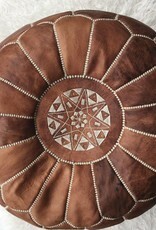 Dimensions: 52x52x28 cm.